The World Federation of Advertisers & Decideware conducted a survey of major advertisers. The survey, conducted in May 2015, sought to understand the key stakeholders and processes that companies utilize to manage data. 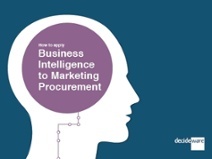 The survey, sent to a sample of their member companies globally in early 2015, provided a number of insights into the beliefs and behaviours of marketing procurement executives with respect to the importance of using data to make key decisions. The results of the survey are compelling, with the majority of the respondents understanding the importance of data when making key decisions. Interestingly, 88% of companies, also responded that they could make better decisions if they had access to more robust data. And yet only 19% of companies surveyed indicated that they felt that their Business Intelligence practice had reached a higher level of maturity. We also look at pragmatic case studies of how this theory is being applied in the agency management domain while examining two critical areas; Scope of Work and Agency Performance Evaluation processes. Learn how the key techniques and tools that marketing procurement should use for agencies and suppliers are similar, and yet different. SELECT - We look at the selection and on-boarding process. SCOPE - Then we review the way in which clients engage with and budget for their agency services.  BRIEF - Next we look at processes marketers use to define the work product for their agencies. PRODUCE - We also need to understand how the actual advertising deliverables are produced. EVALUATE - And finally we need to measure agency performance and compensate agencies appropriately. Each one of those areas has a range of proven strategic supply management techniques that you can utilize to get the most effective and efficient return on your marketing investment. And finally, it is vital that the technology you utilize has the ability to handle the unique nuances of the marketing category of supply! Learn how breaking out the constituent parts of the Scope of Service/Scope of Work process and applying a disciplined, centralized approach provides benefits at every level. It helps marketers to clearly articulate what they are looking for, provides the agency an accurate guide to which they can respond and provides procurement/finance with a clear picture of the cost and value drivers that underpin the fee component. In providing a central process that helps the three parties make informed decisions, it impacts both the efficiency and effectiveness of the client agency relationship. Whitepaper: 360-degree Agency Evaluation, can you handle the truth? In this paper, explore all aspects of the 360-degree feedback process. Understand that if incorporated into a robust evaluation program, the 360 can be one of the most powerful tools we have available to improve client/agency relationship performance, minimize inefficiencies and reduce costs. Certainly, it is a sensitive area and if handled incorrectly can cause more harm than good. Without a collaborative and positive approach, it can degenerate into finger-pointing and ultimately lose any value it could generate. However, with a foundation of trust, a healthy dose of training & communication and support by appropriate processes & technology, this is an exciting and innovative way to dramatically affect the power of your marketing effectiveness. This release in Decideware's "Innovation Series" looks at the important issue of using Scope of Work to manage agency value and understanding if you are getting the most from your agency spend. Decideware 's paper Beyond Costs and Rates - a practical guide to understanding value, discusses the cutting edge of Marketing Agency Management - measuring Agency Cost, Resource Planning and Agency Performance data to determine Agency Value. 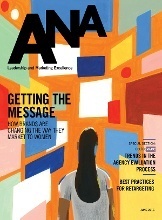 "ANA Insight Brief: Building an Agency Performance Management Program" by Richard Benyon and Steven Wales overviews why companies should implement an agency performance management program as well as the key elements involved to create a sound program. A successful program should be both efficient, without placing too much a burden on the participants and senior management; and effective, aligned with the goals of the marketing organization and producing measurable data. The World Federation of Advertisers & Decideware conducted a survey of major advertisers. The survey sought to provide a better understanding of important issues regarding how major advertisers manage their scope of work programs. The survey, sent to a sample of their member companies across Europe in February 2014, provided a number of insights into the beliefs and behaviours of marketing procurement executives managing scope of work programs. "Similar But Different, the Unique Challenges of Marketing Procurement" by Richard Benyon explores the key similarities between Marketing Procurement and Procurement – and argues that while there are distinctions in the marketing environment there are tools and techniques that can be successfully applied across both business environments. "Making the Most of Your Production Spend" also by Richard Benyon furthers the argument that value and not lowest cost should be the goal of successful production spend management, and that access to reliable, timely production spend data is necessary to allow reliable analyses. "Optimizing Agency Teams: A Decade of Change" by Richard Benyon explores the new models for managing multiple agencies to ensure that there is one voice for the client across all consumer touchpoints. The article also touches on the key processes that can assist in the implementation of these new agency models. "How to Build an Effective Briefing Program" also by Richard Benyon explores the argument that the better the brief, the better the work that will come out of your agency. The article touches on the three key elements for creating a successful briefing program as well as key traits that comprise a quality program. 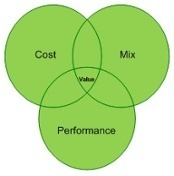 "3 Important Ways Procurement Can Add Value for their Marketing Stakeholders" by Richard Benyon addresses the rise in importance of marketing agency management (MAM), generally described as a blend of procurement and finance processes that allow an organization to better manage its external marketing investment. This article dives into the three ways MAM can add value to marketing and leverages these strategies. "3 Strong Foundations" extends this discussion and looks at three important foundations that need to be put in place: people, processes, and systems, in order to extract maximum value from client-agency relationships. "Beyond Cost and Rates: A Practical Guide to Understanding the Value of Agency Relationship" by Steven Wales overviews the value of agency relationship and looking beyond the traditional theory of cutting costs. The article explores the "value equation" which views the overall worth of each individual agency relationship. In "Driving Performance: Key Insights on How to Maximize an Agency Evaluation Program", Richard Benyon interviews Ken Lloyd, author of Performance Appraisals and Phrases for Dummies for his perspective on agency evaluation programs and how to maximize the evaluation process. Decideware's "At-A-Glance" Infographic overviews the Decideware offering as well as our client base and management team. Decideware's Agency Lifecycle Management "Software-as-a-Service" platform consists of five modules and our new Business Intelligence Solution which help advertisers manage their relationships. We also offer a range of expert services to help make you successful. Decideware works with the top global advertisers and is proud of our relationships with strong industry partners such as the ANA, WFA and an ISBA conference partner. The Decideware Executive Summary overviews Decideware's Agency Lifecycle Management Platform and how each module integrates with one another to help advertisers manage a highly productive relationship with their agencies.The Executive Summary explains each module in detail and its role in the agency lifecycle. Decideware's software platform and expert services help advertisers optimize these relationships and spend, overall performance and ROI. This video provides an overview of the Decideware Agency Lifecycle Platform. Cloud-based software that helps major advertisers manage the spend, performance, and overall relationship with their marketing and communication agencies. "Decideware BI" is our new Business Intelligence solution that provides advanced analytics, data visualization through custom-developed dashboards. Unlock the power of your marketing procurement and agency management data. Decideware's "Evaluation Manager" is the most widely used solution to assist major advertisers in managing their Agency Evaluation programs. Decideware's "Scope Manager" is the industry leading solution used to assist major advertisers in managing their Scope of Work programs. Decideware's "Briefing Manager" is a new solution used to assist major advertisers in managing their Creative and Assignment Briefing programs. Decideware's "Production Manager" is a new solution used to assist major advertisers in managing their Production Budgeting programs.